John Terry has confirmed that his move to Spartak Moscow is off – igniting hopes among supporters that he could return to Villa Park. The 37-year-old flew to Rome over the weekend to undergo a medical with the Russian side, but he has now pulled out of the deal. 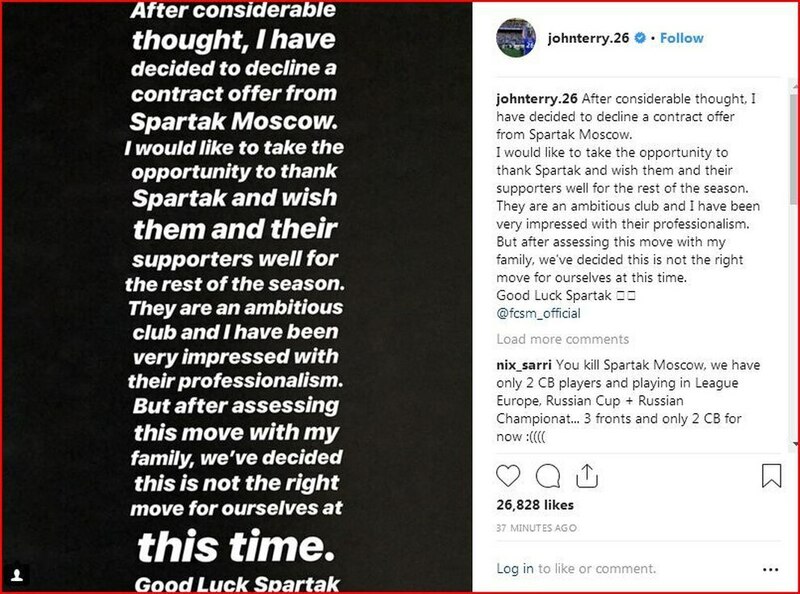 Terry released a statement on his Instagram account saying: “After considerable thought, I have decided to decline a contract offer from Spartak Moscow. "They are an ambitious club and I have been very impressed with their professionalism and the time they have given me. Terry has made it clear that he would like to continue playing, and in a recent interview the former England captain said he had ‘unfinished business’ at Villa Park.